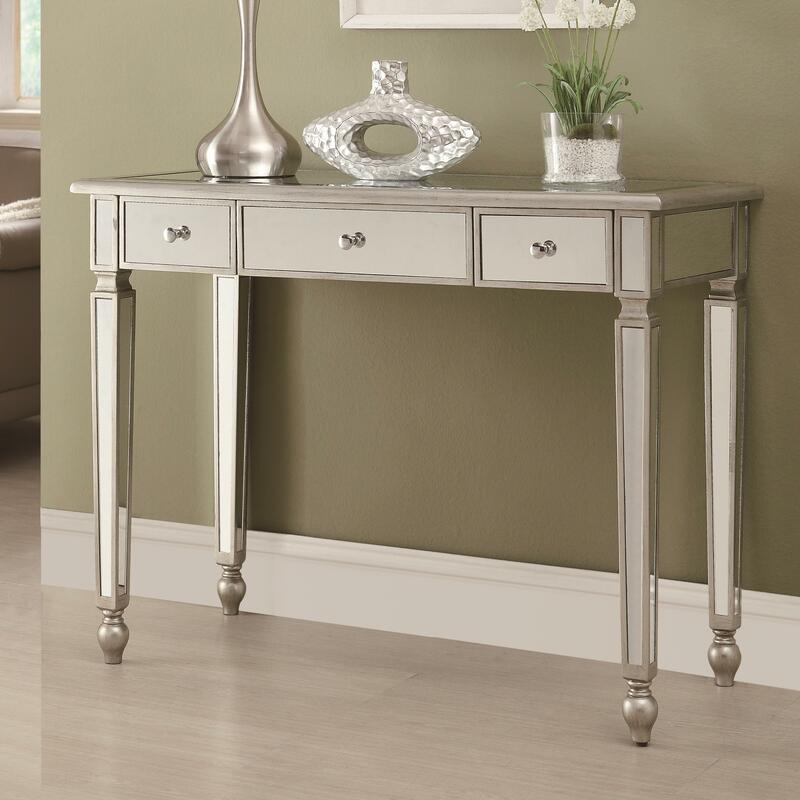 Add modern sophistication and contemporary glamour to any entryway, family room, or hallway with this show-stopping console sofa table design. Three drawers offer storage space to stow away clutter and keep your space tidy and organized. Turned feet finials offer a frame of traditional elegance, while the mirrored surfaces and antique silver finish provide the piece with a feeling of updated luxury you and the whole family will love. The Accent Tables Contemporary Mirrored Sofa Table by Coaster from Nashco Furniture - Nashville. We proudly serve the Nashville, Franklin, Brentwood, Clarksville, Green Hills, Davidson County, Williamson County, Tennessee area. Product availability may vary. Contact us for the most current availability on this product.